Green,howIwantyougreen, 2015-2017. The Conservatory of Music of Puerto Rico in San Juan, The Whim Plantation Estate in St Croix, Snug Harbor Cultural Center and Botanical Garden, and Gateway Project Spaces. 50 minutes performance. 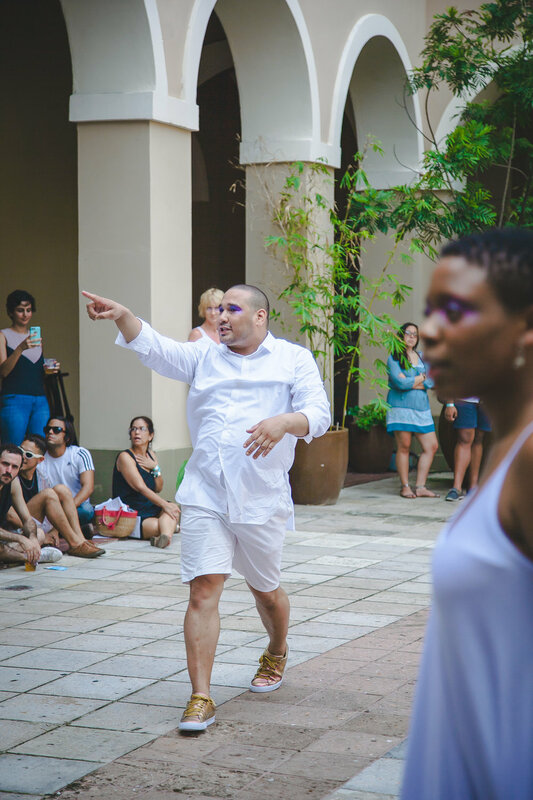 The experimental and interactive, bilingual performance is based on the last eleven poems, Sonnets of Dark Love, by the Spanish poet Garcia Lorca. The poems were banned for 50 years after his assassination in 1936. The poems are fused with personal narratives and text from Lillian Hellman's The Children Hours and Oscar Wilde by Leslie and Sewell Stokes, both written around the time of Lorca's assassination. The music is composed and arranged by Daniel de Jesus. Green how I want you green, is a follow up to The Opera, commissioned for El Museo del Barrio and presented for Performa 13. Green, How I Want You Green a performance by David Antonio Cruz, Jennifer Jade Ledesna, Diego Carvajal Peñaranda, Lisa Strum and musicians, Daniel de Jesus and Samuel Thompson. Guest performances by Elia Alba and Kharis Kennedy. All music is composed by Daniel de Jesus. Photos by Quina Adams. Photographs of Green in Puerto Rico and St Croix are provided by Alaina Simone Inc.